Dragon Age: Inquisition was widely regarded as one of the best role-playing games of 2014, due to its great cast of characters and story. Although Bioware’s game wasn’t without its flaws, like those repetitive fetch quests that had players hunting for items like herbs and took away from the game’s grand adventuring. 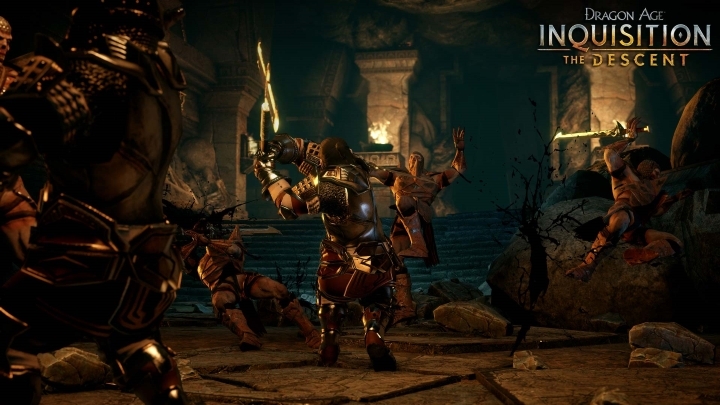 And fans of Inquisition will be able to continue their adventures in the fantasy world of Thedas now, as Canadian developer Bioware has released a new DLC pack that according to the official website will let players “venture deep below the surface to discover the source of mysterious earthquakes threatening Thedas”. The Descent DLC was released on Tuesday, August 11 on PS4, Xbox One and PC (although Bioware won’t be releasing more DLC for last-gen consoles so this won’t come out on the old Xbox 360 and PS3). This DLC comes after the mildly disappointing Jaws of Hakkon DLC released last March, but the trailer below does look intriguing and hopefully Bioware will be able to deliver more of the epic role-playing the company is famous for.